Last year, a good friend from back home in Norfolk (where it’s pretty flat) decided to climb Kilimanjaro and asked me for some advice. I certainly felt the trek was challenging but I’d had plenty of trekking and mountaineering experience before so was a bit blasé with my advice. Why climb? Because it’s there… and it can actually be done by most. Kilimanjaro is the world’s highest freestanding mountain, meaning it is not attached to a mountain range. 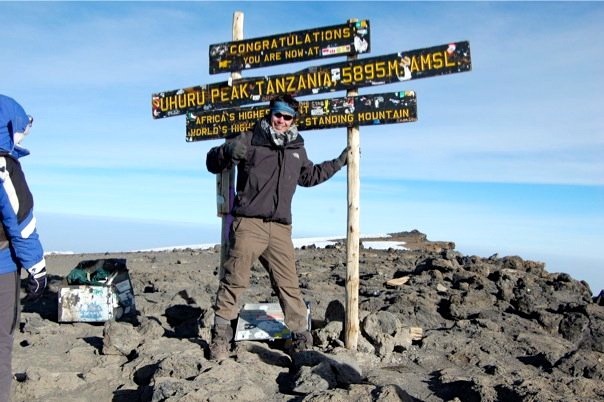 I trekked it in 2010 and it was inspirational to say the least. It was part of a big trip for me to East Africa — and after an extensive safari throughout the Serengeti, Lake Manyara and Ngorongoro Crater, coupled with several days on the exotic and dreamy island of Zanzibar — Kilimanjaro could easily have been overshadowed. But it wasn’t.